What benefits would a passive optical network offer you? It can save you money, time, and effort. When we talk about fiber optics, we know that they transmit data via light signals and, as this data moves across a fiber, it must be separated so it can get to the proper destination. Typically, this is done via one of two ways: active optical networks (AON) or passive optical networks (PON). This is the last bit of fiber optic networks that allows for actual distribution of the signal between the hub and the end customer. Why are passive optical networks on the rise and could your data center possibly benefit from one? A passive optical network (PONs) brings optical fiber cabling to the end user. It utilizes a point-to-multipoint architecture, wherein unpowered fiber optic splitters are used to allow a single optical fiber to serve multiple endpoints or users. 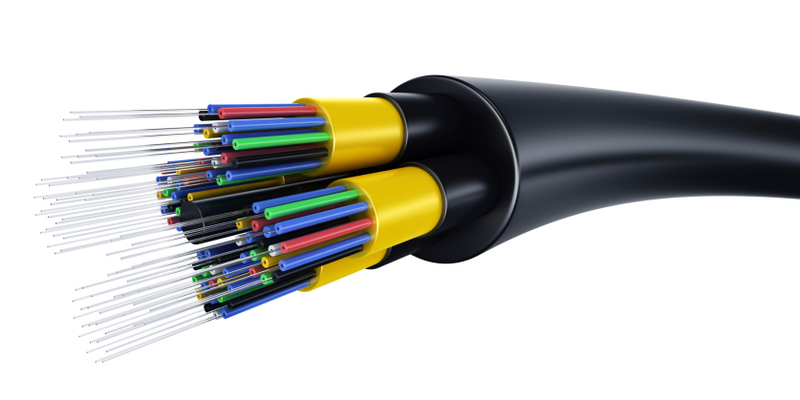 This is why a passive optical network is sometimes described as fiber-to-the-curb, fiber-to-the-building, or fiber-to-the-home, as it often acts as a bridge between the rest of the fiber optic network and the users themselves. Unlike PONs, active optical networks (AONs) rely on the usage of electrically powered switching equipment, such as a router. The problem with AON is that it requires at least one switch aggregator for every 48 users. It also requires power, which makes it inherently less reliable than a PON. In contrast, a PON uses optical splitters to separate and collect optical signals. Passive optical networks are typically considered very efficient because each strand can serve up to 32 users. Why Use a Passive Optical Network? Users have started to care more about passive optical networks because they offer cheap, fast, and reliable user experiences. You’ll still be able to get the same high-speed, high-bandwidth use, but all at a lower operational cost. You also won’t have to worry about all of those pesky Ethernet switches in your network. As a result, passive optical networks may be ideal for data centers trying to cut costs and clutter while still retaining the same level of efficiency. This entry was posted on Friday, August 18th, 2017	at 11:44 am	. You can follow any responses to this entry through the RSS 2.0 feed. Both comments and pings are currently closed.